Your home insulation choices deserve some careful attention. After all, you’ll be living with this decision for as long as you own your Michigan home! That’s why it’s important to choose the right, most qualified home insulation contractor. Unfortunately, most homeowners assume that all home insulation performs the same and are content to let the installation price serve as the determining factor in making their decision. However, there are many factors to consider, including fire safety, the environmental impact, sound control, energy savings and comfort. While home insulation will remain hidden from view, a “lowest bid” choice may have you paying for a cheap insulation job for as long as you live in your home. The key to getting the most value for your money is having your insulation installed by insulation contractors that are knowledgeable, conscientious and thorough. Keeping your home the right temperature can be tricky business. Houses built during the early 20th century might not have had insulation installed correctly, if at all. Also, older forms of insulation might need upgrading in your home. Let’s go through the process of how Applegate can help you increase your home’s energy efficiency and keep your home at the right temperature throughout the year. What Type of Insulation Will Need to Be Installed? The R-value of the insulation is its resistance to heat flow. 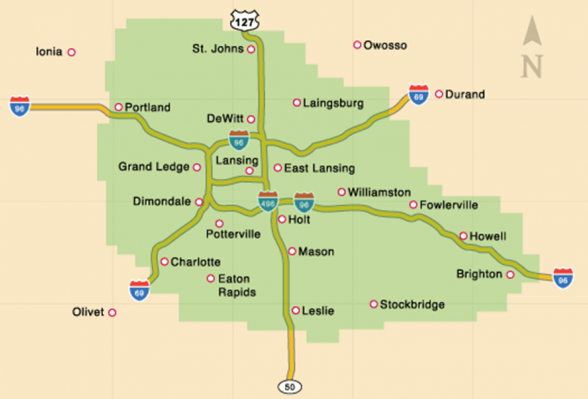 The type of insulation will be determined by your area of Michigan and what part of the house you are insulating. The R-value of insulation ranges from 0 to 40 and higher. Lower R-values are more appropriate for warmer climates. For areas around Lansing, Applegate will likely recommend an R-value in he 40 to 50 range, to help with Michigan’s harsh winter weather. How Do I Know If Need Insulation In My Home? Before you call Applegate, it is easy to check if you need insulation in your home. One of the common ways to check is to take off the cover to one of your wall outlets. If you see insulation, you can pull a small piece off to determine the type. Also, check multiple areas throughout the house. Older areas of your home might not have insulation or the insulation might not be the right type. Also check open areas in your attic to see how much insulation, if any, might need to be added. Give Applegate a call, and we’ll take it from here. Old houses can be drafty places. Warm air can leak from virtually all areas of your home. Chimney with broken dampers are common. Other areas where air can leak through heat exchange include cracks around windows, ducts, outlets, and recessed lighting. The biggest area where heat exchange occurs is in the attic. Since heat rises, it is common for heat to escape through poorly insulated attic spaces. The cost of installing insulation is minimal. On average, you can save up to $600 per year or more with up-to-date home insulation. Depending upon the size of your home, the amount of insulation added, and your location in Michigan, your insulation will pay for itself within 1 to 3 years. Insulation reduces heat exchange through your walls, attics, ducts, and roof. With good insulation in your home, less heat will escape during the winter months and more cool air will stay in your home during the summer, reducing your overall heating and cooling expenses throughout the year. Good insulation is a ust throughout the summer and winter months in Michigan. We typically see harsh, cold winters. There can be as much as 46 inches of snow during the year and the average low can be 22 degrees. It can get as low as 13 degrees on particularly cold days. In the summer months, it can be as hot as 86 to 90 degrees, so keeping your cool air in the home is a priority to help keep your heating and cooling costs down. One of the most common problems homeowners run into when they do their own insulation is moisture. Moisture from living spaces, like bathrooms, kitchens, and basements, can get into older wood and other building materials, causing problems with new insulation installs. Applegate will install an insulation moisture barrier to help remedy his problem. With our industry-leading expertise and correct installation techniques, moisture will never be a problem in years to come with your new insulation. Give Applegate a call today about your home insulation needs. We have been in business since 1952 and are your trusted insulation and home comfort experts. It might also be a good time to look at your other heating, cooling, and electrical needs. We are happy to help and we’ll be out in no time to make sure that the job gets done right. Schedule a free home insulation estimate today to see just how affordable our home insulation services are, and how much it can save you. Simply put, your home was most likely not constructed with energy efficiency in mind. Therefore, insulation may be quite necessary, new home or not. Even if your home is insulated, adding insulation could still be beneficial. Of course, our experts can look for such during your free insulation estimate. Give us a call today!